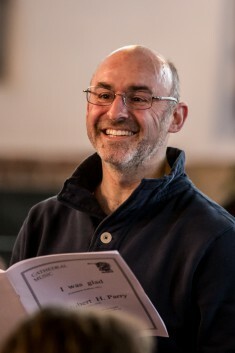 Richard has been the Waverley Singers' Director of Music since 2009. 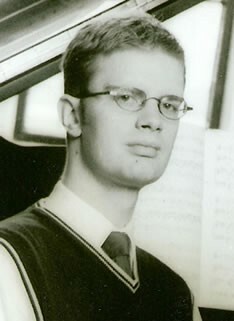 He was organ scholar at Trinity College, Cambridge, where he toured and recorded extensively with the chapel choir. After graduating with first class honours in music, he studied piano accompaniment for two years at the Guildhall School of Music and Drama in London. Working with choruses and chamber choirs has become a speciality for Richard. He records and broadcasts regularly with the BBC Singers, most recently in recordings of Kenneth Leighton and a CD of Elizabeth Maconchy’s choral works. He has long-standing associations with the Royal Choral Society, as well as twice-yearly trips to Sweden to work with groups in the Stockholm and Malmö areas. Richard is a professor at the Guildhall School of Music and Drama. Jakob was born in Sweden and studied piano, piano teaching and conducting at The Royal Academy of Music in Stockholm before coming to London for further studies at the Royal College of Music. At the College Jakob earned a Postgraduate Diploma in Accompaniment, winning all the prizes for lieder accompaniment. After graduating Jakob has performed all over the UK, with singers, instrumentalists and choirs.